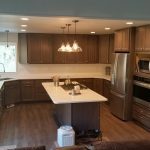 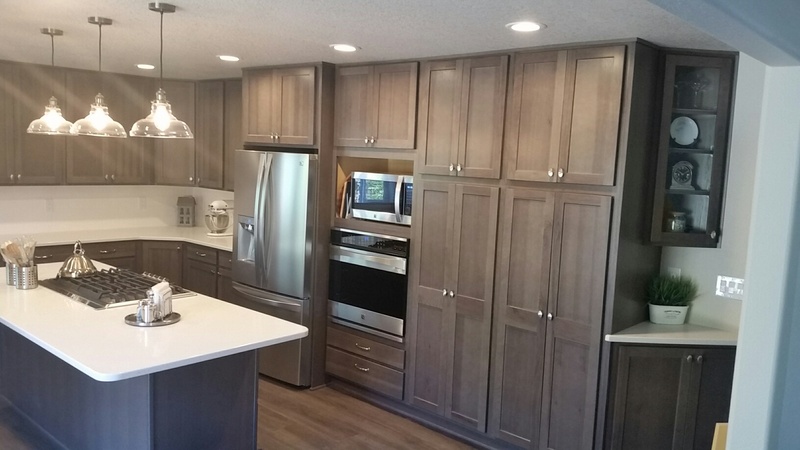 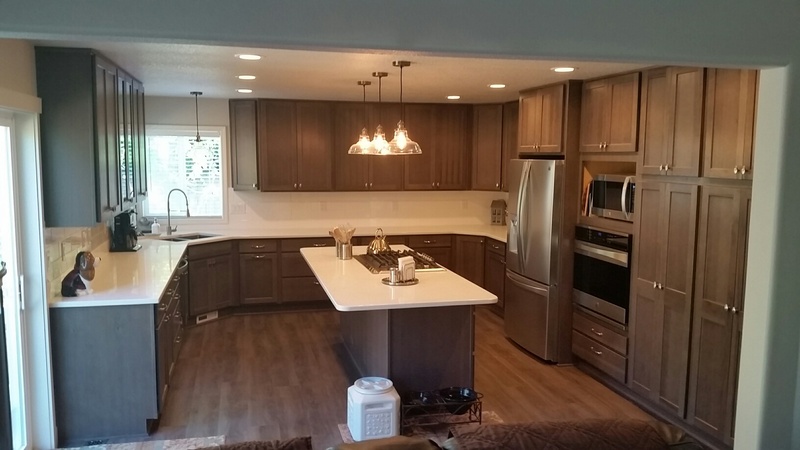 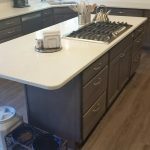 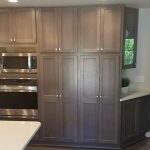 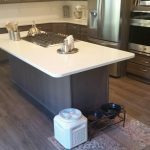 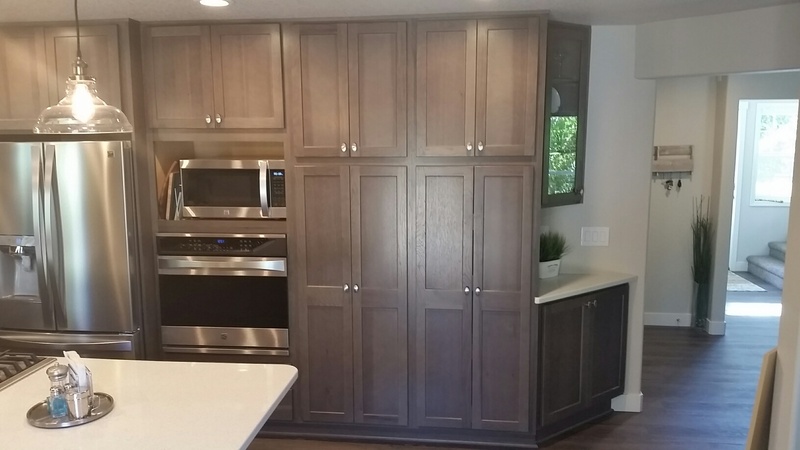 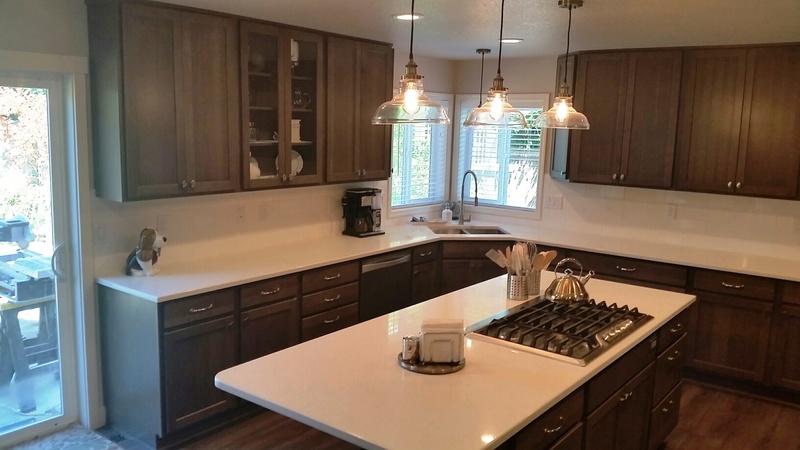 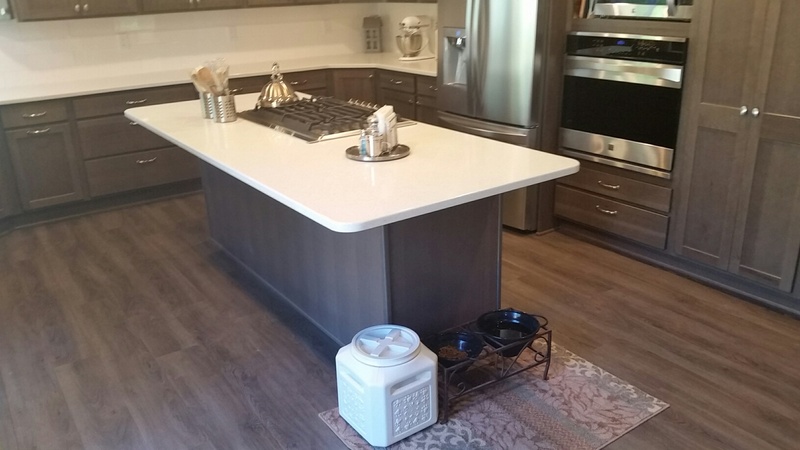 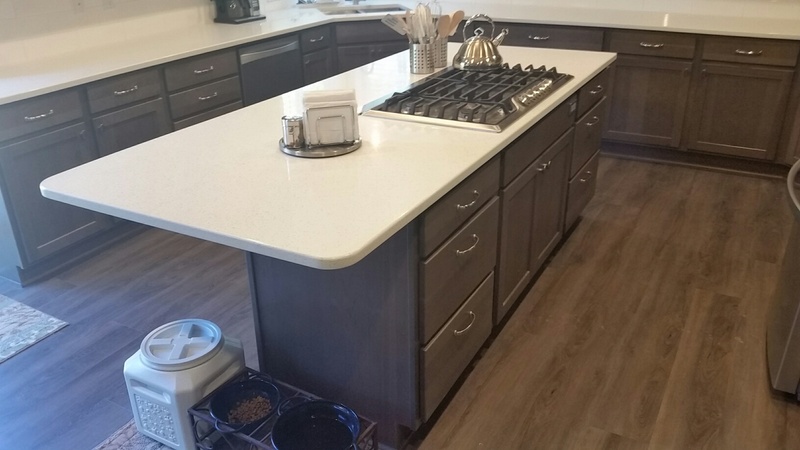 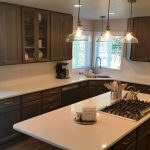 This was a large Kitchen and Bath Remodel in Ridgefield Washington. 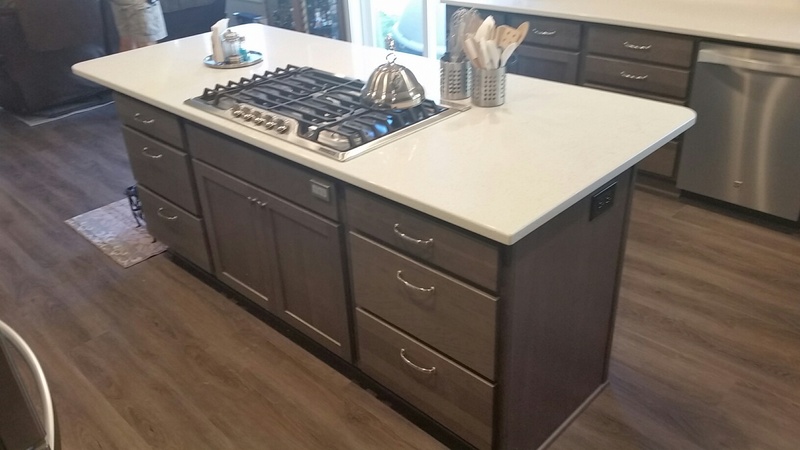 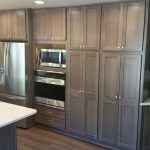 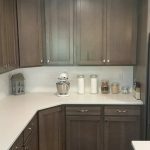 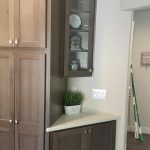 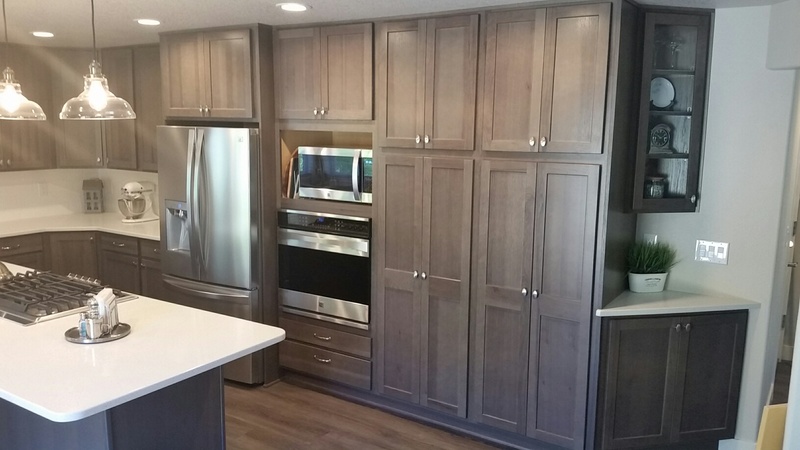 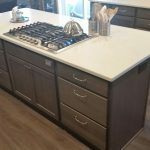 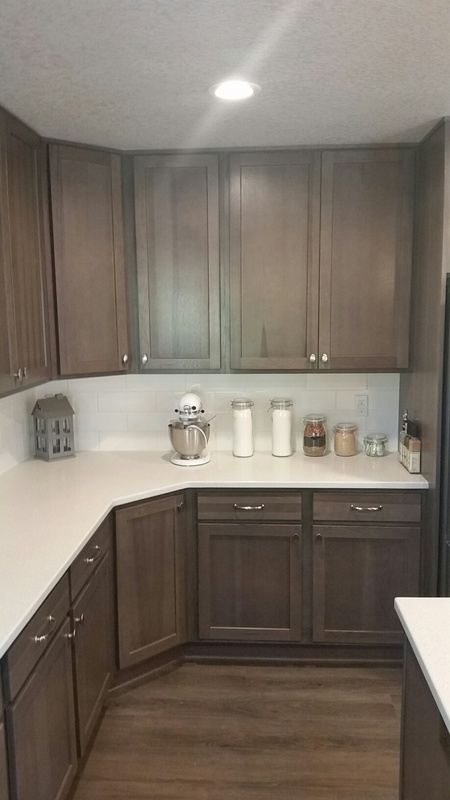 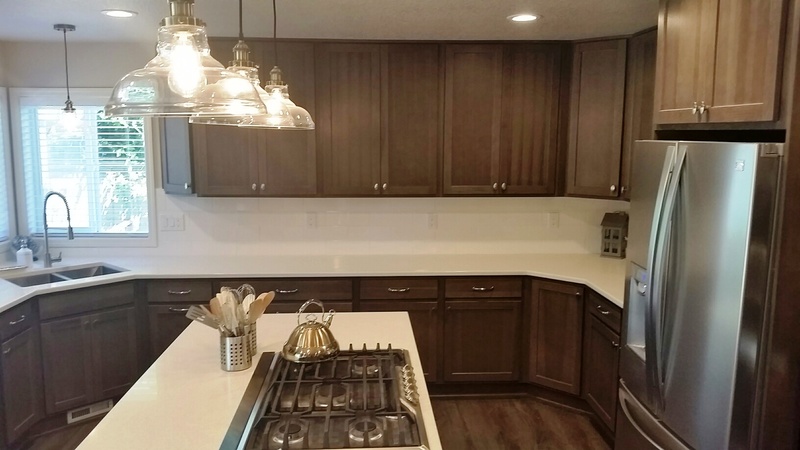 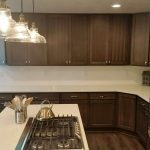 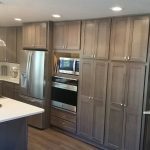 The cabinets are -Shaker Style -Hickory Wood-Anchor color- with Dovetailed Drawers and full extension soft close drawer guides. 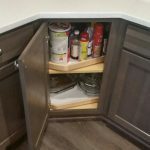 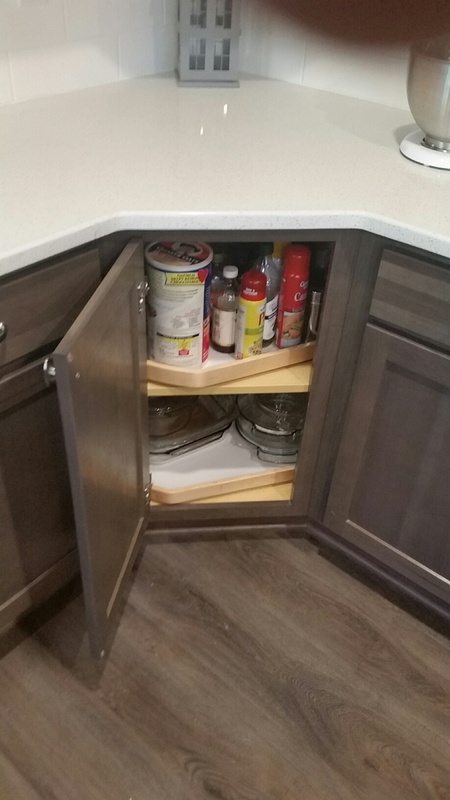 The cabinets have lots of extras in them like, Roll Outs, 45 degree Super Lazy Susan, etc. 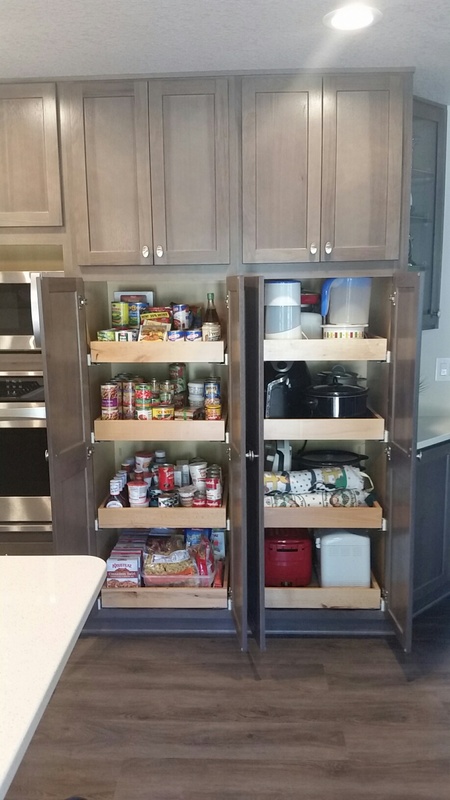 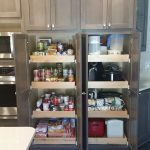 We have two large Pantries with roll outs. 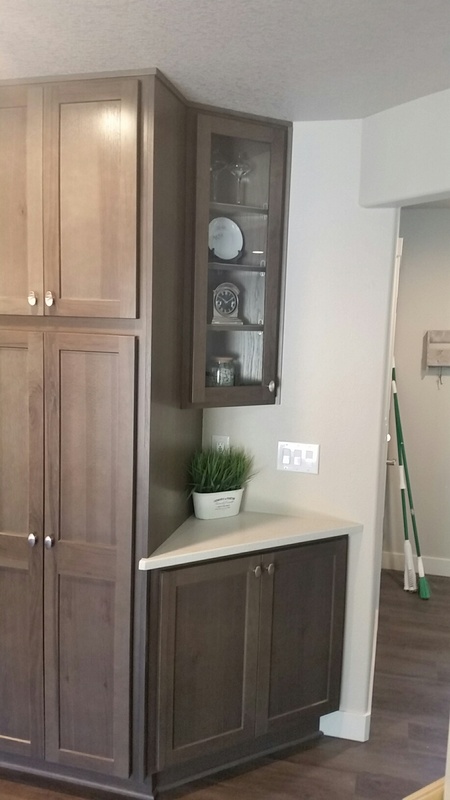 We made a couple of the wall cabinets with Glass Doors. 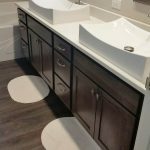 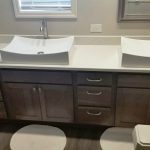 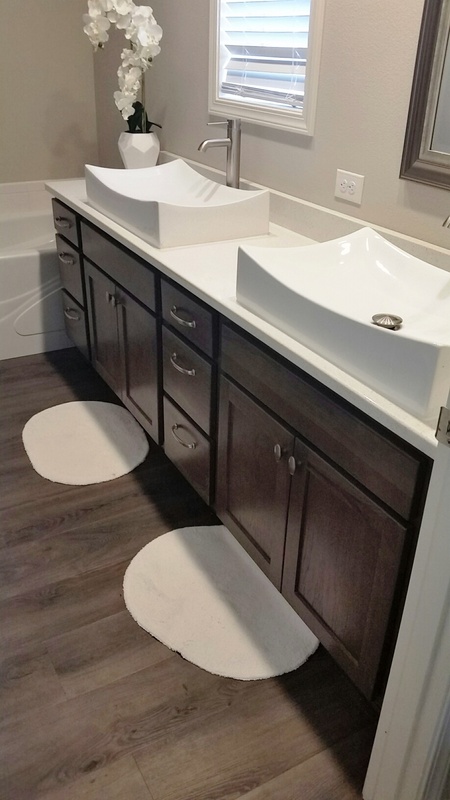 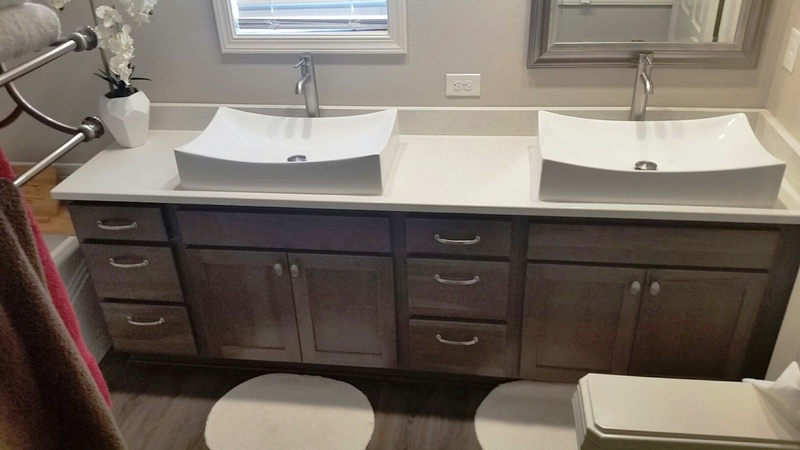 We also did the Master Bath with vessel lavatories.